Jeph Loeb & Joe Mad on Ultimates vol 3??? Newsarama: From “MrMxyzptlk”: we know that Leinil Yu is coming to the Ultimate Universe. That is cool. But can you confirm or deny that Joe Madureira and Michael Turner will work on the Ultimates titles too? Joe Q: I can do no such thing. Then, Cyphon from Newsarama commented that CB Cebulski confirmed that Jeph Loeb and Joe Mad are the next team on Ultimates. First, he was asked what Joe Mad is working on and he said "See Wizard in four days". Then he was asked who the next team on Ultimates is, he said "See Wizard in four days." Then he added, "I think you can all put two and two together." Everyone is certainly abuzz... but until then, let your imagination flow and we'll all find out Wednesday is this one is true. update: the Wizard website has indeed confirmed that Loeb & Mad will work on The Ultimates volume 3. Stay tuned for more news as it comes. DC Comics announces that superstar artist Michael Turner continues contributing to the return of the Girl of Steel with variant covers for SUPERGIRL #2-4! The covers will be shipped to retailers in a 50/50 split between Turner covers and covers by regular series artists Ian Churchill & Norm Rapmund. "I’m just as surprised as everyone who is reading this that Michael is continuing to give our book a boost with his gorgeous covers," says writer Jeph Loeb. "DC has clearly gotten behind SUPERGIRL to create enormous excitement. Both Ian and Mike are doing dazzling things and as we all know, launching a new title is very daunting — particularly with a female lead. It’s not about sales; for me it’s never about sales. It’s about our team: myself, (Group Editor) Eddie Berganza, Ian, Mike, Norm Rapmund, Richard Starkings and the brilliance of the Aspen color crew, all working our tails off to create the best book we can. It is very, very rewarding knowing that the maximum number of new readers and longtime fans can enjoy these new adventures of the Girl of Steel!" "The new SUPERGIRL got off to a very strong start, and having covers by Michael Turner will help maintain the series’ momentum," says Bob Wayne, DC’s VP — Sales. "Retailers should increase their orders on upcoming issues now to make sure they have enough copies for all their customers." · SUPERGIRL #2 (JUL050209) is available for advance reorder and is scheduled to arrive in stores on September 14. · SUPERGIRL #3 (AUG050199) is solicited in the August Previews (Volume XV #8) and is scheduled to arrive in stores on October 12. SUPERGIRL #4 will be solicited in the September Previews (Volume XV #9) for November in-store. Hot on the heals of the critically acclaimed new Warner Brother’s smash hit BATMAN BEGINS, Santa Clarita’s two biggest pop culture centers BRAVE NEW WORLD COMICS and EDWARDS VALENCIA 12 CINEMA have joined forces to find the ULTIMATE BAT-FAN. Starting this weekend at Edwards Valencia 12, fans who have been waiting in-line to see what some critics have called, "The greatest comic book movie, yet", will get the chance to register to win the Bat-Cave full of prizes provided by Warner Brothers, Brave New World, Regal Entertainment, and DC Comics. "All they’ve got to do to register," explained Atom! Freeman, proprietor of Brave New World Comics, "is to fill out our quiz of Bat-Trivia. The questions will test the Bat-Fans’ knowledge of all things Batman. Everyone who completes the Bat-Quiz is invited to ‘Win Batman Comic’s’"
WIN BATMAN’S COMICS is a gameshow style contest designed to find the Ultimate Bat-Fan. Elimination rounds will be held all day on Saturday, June 25th at Brave New World Comics (located at 23566 Lyons Ave #103 in Newhall, CA) and the winners will winners will go head-to-head with the Dark Knight himself to WIN BATMAN’S COMICS and be crowned the ULTIMATE BAT-FAN! A day after it went on sale, Ultimate Spider-Man Annual #1 has sold out at Diamond and the response to the return of Marvel Annuals has been incredible. In a stand-alone story that ties into the monthly title, Ultimate Spider-Man Annual #1 finally reveals who will be Spider-Man’s new girlfriend. Written by monthly scribe Brian Michael Bendis with pencils by Mark Brooks, this double-sized issue is sure to have everyone talking about the new woman in Peter Parker’s life. "Wow. Thanks so much to our loyal readers. Making a big change like this in Peter's life is a scary proposition and I can't thank everyone enough for being so open to it," says Brian Michael Bendis. "Look forward to all kinds of new story possibilities in the months ahead." Bendis also thanked his co-creators for crafting such a memorable issue. "Mark Brooks has been on my "must-have" list for a while now. I think he's an amazing penciler and he destroyed on this comic book. Congratulations to him, award-winning colorist Dave Stewart, and the entire art team." Every Ultimate Annual will have immediate ramifications on their monthly counterpart titles, which was the plan all along according to editor Ralph Macchio. "We intended for the Ultimate Spider-Man—and all the Ultimate Annuals-- to continue the tradition set by their monthly counterparts: Top creators giving the readership solid stories, beautifully illustrated," says Macchio. "It’s a tribute to writer Brian Bendis, penciler Mark Brooks and the rest of the team, that this annual has sold out," adds Macchio. "I’m so gratified Ultimate fans have rallied around this very special once-a-year event. 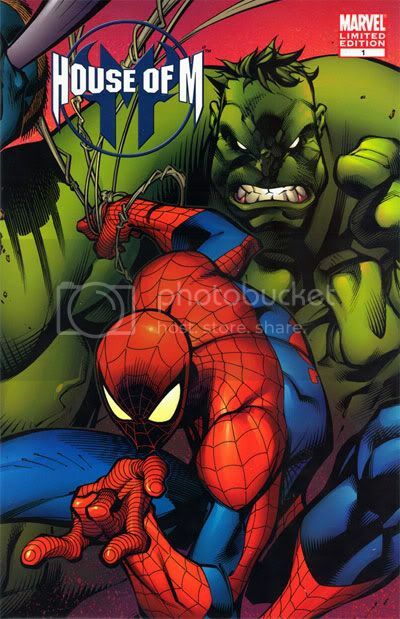 And, of course, we’ll continue to deliver on the monthly Ultimate Spider-Man book everyone enjoys." Annuals were once a yearly tradition for all Marvel titles and now it has made its successful return with two Ultimate Annual sellouts in as many weeks. And the Ultimate Annual action doesn’t end there as Ultimate X-Men Annual #1 and Ultimate Fantastic Four Annual #1 are all set for release over the next few weeks. Let the Annual tradition begin! FIFTH MEMBER OF THE FANTASTIC FOUR GETS HIS OWN SPECIAL ONE-SHOT! Springing from the pages of Fantastic Four and Power Pack comes Franklin Richards...in his very own one-shot special "The Fantastic Four Presents Franklin Richards: Son of a Genius." From the creative team of Mark Sumerak and Chris Eliopoulos, The Fantastic Four Presents Franklin Richards: Son of a Genius collects the four critically acclaimed stories from the Power Pack mini-series and features guest appearances of the entire Fantastic Four. Ain't It Cool News gushed over the original Franklin Richards stories saying, "This tiny tale is just that: a work of a genius." This collection also contains a brand-new story that finds Franklin and his robot H.E.R.B.I.E causing wacky Halloween mischief. Its madcap trick-or-treating, fantastic-style as Franklin gears up for his greatest adventure yet: the search for more candy. "The Fantastic Four Presents Franklin Richards: Son of a Genius" is the only place to find the entire collection of Franklin Richards stories so be sure not to miss out on this compilation of tiny, terrific tales. It's 32 pages of all-ages fun with a little of the fantastic thrown in, courtesy of the littlest fantastic Franklin Richards. 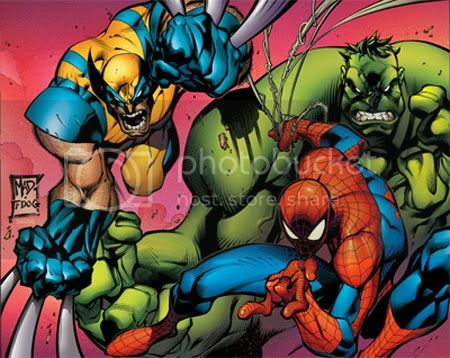 At the WizardWorld: Chicago convention, Marvel announced artist Joe Madureira’s new exclusive contract, and released an image featuring “Joe Mad’s” version of Wolverine, the Hulk, and Spider-Man. Not just a promotional image, it was actually a cover to a new surprise “Convention Special” of House of M #1, one free copy of which was sent to every Diamond account (i.e. retailer) with this week’s new books, and undoubtedly now fetching a premium aftermarket price. This week the publisher has announced this House of M #1 Convention Special will be made available for order on a limited basis (20 per Diamond account). This second wave of this special will be in stores on August 31st. The project will be announced at a later date. It's been about 8 years since Madureira 's art has graced the interiors of a Marvel comic, since he left to start his own creator-run series Battle Chasers through the Cliffhanger imprint. A Joe Madureira cover for “House of M” (pictured below) was unveiled, displaying Spider-Man, Hulk and Wolverine. No, Loeb did not go on to say what his and Madureira's project was, but he later hinted that it probably had something to do with one of the characters on the cover displayed. Madureira was asked if he'd ever finish “Battle Chasers.” The artist seemed disappointed that it never finished, but is content to let the book toil for now. "It's one of those things that I think about every once in a while, and not having finished it bums me out... I would love to do it at some point, but it would be very far out." Where has the artist been in the interim? Working in the video game industry as an art director, Madureira said. Most of the work he's done in the past couple years will probably never be seen, he said, unless it gets collected into an art book. But he did say he believes he's learned some “new tricks” while he was away. As for Joe, more details of his deal, project and length of time will be disclosed shortly in the next issue of Wizard I believe. From our discussions, Joe has agreed to do a significant amount of work, and I have to tell you, he’s excited as can be to be back and working on this project. It’s going to be fun to have Joe back in the biz. As a matter of fact, next weeks' Wizard #168, on sale August 31st will shine some light on Madureira's & Jeph Loeb's new project. Keep locked to this site, Joe Mad! Fan & the Joe Madureira Fansite for all of your Joe Mad news! Shazam/Superman is finally nearing a release date & I couldn't be more excited. This is suposed to be the story of when Superman & Captain Marvel first met... written by Judd Winick & art and cover by Josh Middleton, this book, if successful, could possibly lead to a new Marvel Family book. Witness the first meeting of The Last Son of Krypton and Earth's Mightiest Mortal in this thrilling 4-issue miniseries written by Judd Winick (SUPERMAN: "Lightning Strikes," OUTSIDERS) with art by Josh Middleton (Nyx, New Mutants)! While Superman must stop members of a cult from stealing an ancient artifact from the Metropolis Natural History Museum, Captain Marvel must defeat giant robots rampaging through Fawcett City. When the same cult attempts to steal an artifact from a Fawcett City Museum, Superman drops by to lend a hand, and teams up with Captain Marvel against an all-new threat! 40 pages, $3.50 US 4 issues. On sale September 7th. The Supergirl from Krypton is back! And after issues #1 and #0 of her hot new series both sold out within one day of reaching stores on August 10, DC Comics is rushing SUPERGIRL #1 back to press for a new printing! SUPERGIRL #1 Second Printing (JUN058272) features a story written by Jeph Loeb and illustrated by Ian Churchill & Norm Rapmund. The new printing features a pencil version of the cover by Michael Turner! "I couldn’t be happier for the team, but mostly for Supergirl herself," says Loeb. "I’ve said before that a good idea is a good idea - and SUPERGIRL is a great idea. Our hope is that readers and retailers will take the time to get to know her, just like the heroes and villains in the DCU are doing in the story. 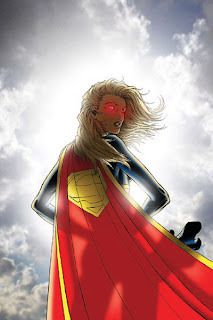 Thanks again to all the new readers and the Supergirl fans who are supporting her new adventures!" "We’ve thrilled at the strong response SUPERGIRL has gotten from readers and retailers," says Bob Wayne, DC’s VP - Sales. "Now’s the time for retailers to order the second printing of issue #1, as well as increasing orders on the other issues." SUPERGIRL #1 Second Printing (JUN058272) is available for order now and is scheduled to arrive in stores on September 7 with a cover price of $2.99 U.S. To ensure delivery on that date retailers must place orders by Sunday, August 28; please note that quantities will be limited and may sell out before August 28. DC urges retailers to place orders as soon as possible to avoid missing out. * SUPERGIRL #2 (JUL050209) is available for advance reorder and is scheduled to arrive in stores on September 14. * SUPERGIRL #3 (AUG050199) is solicited in the August Previews (Volume XV #8) and is scheduled to arrive in stores on October 12. 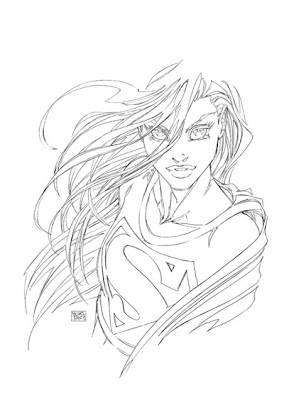 And watch for more exciting SUPERGIRL news coming soon from DC Comics! With a new printing of WONDER WOMAN #219 - the stunning finale to the 4-part story " Sacrifice " - due to arrive in stores on August 17, DC Comics reveals the in-store dates and cover information on the new printings of SUPERMAN #219, ACTION COMICS #829 and ADVENTURES OF SUPERMAN #642. These issues feature the first three chapters of " Sacrifice. " SUPERMAN #219 Second Printing, ACTION COMICS #829 Second Printing and ADVENTURES OF SUPERMAN #642 are scheduled to arrive in stores on August 31. Each features its original cover illustration, recolored in red tones. 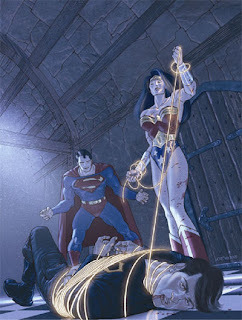 * SUPERMAN #219 (JUN058177) is available for order now and is scheduled to arrive in stores on August 31. * ACTION COMICS #829 (JUN058175) is available for order now and is scheduled to arrive in stores on August 31. * ADVENTURES OF SUPERMAN #642 (JUN058176) is available for order now and is scheduled to arrive in stores on August 31. * WONDER WOMAN #219 (JUN058155) features a new cover by Ladrönn. It is available for advance reorder and is scheduled to arrive in stores on August 17. To ensure delivery of SUPERMAN #219, ACTION COMICS #829 and ADVENTURES OF SUPERMAN #642 on August 31, retailers must place orders by Sunday, August 21; please note that quantities will be limited and may sell out before August 31. DC urges retailers to place orders as soon as possible to avoid missing out. 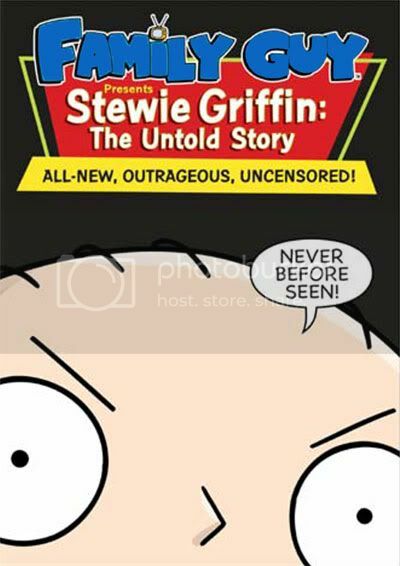 In the past 2 weeks, theres been a lot of stuff happening... the Family Guy Movie, titled Stewie Griffin: The Untold Story has been leaked to the internet in high quality a full 2 months before its direct-to-DVD release date. According to the information file published by the release group Angelic Evolution, the movie has been ripped from an “exclusive DVD premiere.” The movie follows Stewie, the family’s maniacal baby genius, who sets out on a road trip to find who he believes to be his real father. The actual DVD, with features and all will be in stores towards the end of September. By the way, if you're a Family Guy fan you won't be dissappointed. TvshowsonDVD reports that the He-Man and the Masters of the Universe Volume 1 has an October 18, 2005 street date. The first volume contains the Best 10 Episodes as chosen by the those who voted on he-man.org last summer. Everybody knows Thomas Hayden Church is playing Chameleon in the next Spider-Man movie... what everyone might not know, is so is Topher Grace. Church plays Dmitri Smerdyakov, who goes by false name Dr. Turner at Peter's college. The Chameleon also has a brother in this film, which will set up Kraven the Hunter for a future sequel. And Harry will indeed become the Green Goblin, at the very end. Spider-Man 3 will debut in theaters May 4, 2007. The live-action Transformers movie site has been up for a few weeks now & personally, I can only wonder which way it'll go. The movie is set to open July 4th, 2007 & is now in pre-production. It seems that we'll be getting a new Spawn Animated series soon... as noted during the San Diego Comic-Con, Spawn:The Animation will air in 2006. Keith David will be returning to do the voice of Spawn & this will serve as a pilot/mini movie which may be shown on TV before reaching DVD next year. Todd McFarlane and Terry Fitzgerald will be executive producers on the new Spawn animated series. Today we are proud to release the animation trailer that was shown at San Diego Comic-Con '05 for all to see here on spawn.com. Our update this week will give the "state of the animation report" as well as fan reaction to the animation trailer at the Con and an overview of the panel discussion TME President Terry Fitzgerald led along with IDT/Film Roman. As of press time, we are trying to choose voice actors for our characters, as we plan to record early next week. Todd has been in Canada on vacation, making this an even bigger challenge than normal. It's decision time and with 12 main characters to cast it can be quite a daunting process not being in the same room with the actors. Based on the casting choices made this week, Todd and Terry will be in studio in early August to direct the chosen actors. We are moving right along with pre-production and it's been quite an exciting process. On top of nailing down voice talent, our counterparts at IDT/Film Roman are flushing out and polishing up the last of the story boards in preparation for sending them to Korea to be animated. We have been introduced to our directing team in Korea and they have presented us with some stunning work to highlight their talents. We are thrilled to be working with them, as their participation will eliminate many sleepless nights of wondering how it's going overseas. Reaction to the Spawn: Animation teaser trailer, which was revealed for the first time at the 2005 San Diego Comic-Con, has been overwhelmingly positive. Eager fans who have been waiting patiently for Spawn's return to the world of animation crowded not only the 1000-seat panel discussion -- featuring the creative minds from IDT/Film Roman as well as Terry Fitzgerald and his unique hands-on insight into the project -- but also the McFarlane Companies' booth where the trailer was on display for all to see. Eyes were continually, and in many cases repeatedly (as legions of fans and curious onlookers would return time and again) cast skyward toward the large plasma screen display in order to catch a glimpse of what is to come. Also, Justice League Unlimited fans should read Jim Harey's interview with story editor Dwayne McDuffie... Warlord fans should be ecstatic! Too Many Games? No Such Thing! It might be just me, but I think this guy has a lot of games...still, this is the biggest collection I seen by far! Click this link to see what I'm talking about.